The only way to get around the beautiful Greater Manchester town of Bolton is with the luxury fleet of cars by Opulence Executive Travel, some of which can offer great features such as disco-lighting, ice-cold cocktails and killer sound systems, along with many more. Limousine Hire in Bolton for Proms, Weddings and Parties! Opulence Executive Travel can offer chauffeured limo hire services ranging from birthday parties and nights out, to airport transfers in Bolton, Greater Manchester. Don’t forget prom night either, as luxury travel is becoming more and more in demand from teenagers wanting to add to a level of class to their experience and make it a night to remember; we can offer them photos with the car, their own choice of music and a celebrity-style entrance. bottle of champagne to help you chill out! Drinks aren’t limited to a wedding either, as certain of our packages come with a fully stocked bar of both alcohol and soft drinks. Book soon to avoid disappointment! Bolton is not only a town with a world-class luxury car hire, it is also the home to the fantastic football team, the Bolton Wanderers who play their home games at the Macron Stadium. It’s also proud to be the birthplace of the WBA World light-welterweight champion Amir Khan, the boxing legend who is Britain’s third-youngest world champion boxer. Not forgetting the jewel in the crown, Bolton-born comedian Peter Kay is a man proud of his roots and rich heritage. The town’s motto “supera moras”, means “overcome difficulties”, so you needn’t worry about anything because we can overcome any issue! 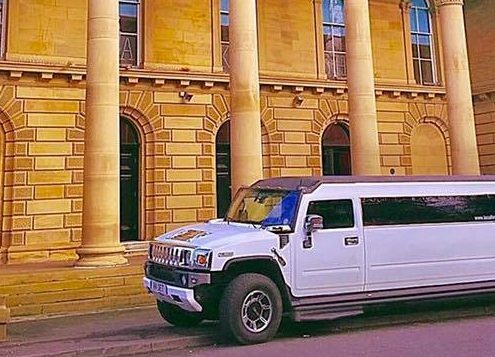 This is a growing trend as more and more young people arrive for their school dance or prom in style with a Hummer H2 Limousine or Chrysler (Baby Bentley) Limousine. A fantastic way to celebrate New Year or the end of term with your classmates on a night you’ll never forget. Book a Bolton Limo today! With our fully trained chauffeurs who are always dressed to fit the bill, we can deliver a ride like no other, so why not treat yourself to a little bit of class and start your party early with a luxury ride, and make sure everyone in town is looking your way. Make everyone jealous with your choice of the car whether you’re off to the club or a day out at the races, and live the life you want to live. And don’t worry, every vehicle in our fleet is valeted daily to ensure a VIP experience, and to make sure you make the best impression possible whilst travelling in comfort and in style. Travel in opulence with Opulence Executive Travel. Let us exceed your expectations, contact us today on 0800 5202 030 or through our Contact Form to make sure you don’t miss out on this amazing opportunity to glam up! We reply to all enquiries within 24 hours so don’t worry about short-notice.